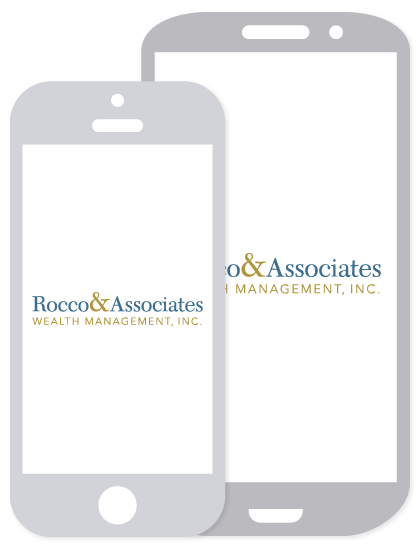 Market Outlook - November 2015 | Rocco & Associates Wealth Management, Inc.
November should be an interesting month for the markets after a strong recovery in October from our September woes. Growth concerns from overseas in places like China and the Middle East continue to be a major market drivers as volatility continues to shake U.S. markets. Over the course of just one week The People’s Bank of China reported 6.9% GDP growth, the lowest number in the last six years, and lowered interest rates by 0.25%. Further, Mario Draghi, the European Central Bank’s president, signaled for an increase in the EU’s bond buyback program due to negative interest rates. These moves indicate that China and Europe are growing at a slower pace, and need central bank assistance to increase money supply. Many major US Industrial and Manufacturing corporations have stated that their third quarter earnings will be lower than expected due to the global economic slowdown. Although earnings are beginning to slow as compared to the second quarter, companies are still projecting positive corporate profits. This seems to indicate that our economy remains fundamentally stable, and at Rocco & Associates, we continue to have a positive US economic outlook. Other major economic news in October came from the Federal Reserve. The Fed ended its monthly two day meeting on October 28th. The Fed expressed a positive economic outlook, which could signal that it is ready to raise interest rates for the first time since June 2006. The announcement indicates that the US economy may not be as connected to the global economy as many believed. Many forget that China accounts for only 7 percent of total U.S. exports, which represents less than 1 percent of U.S. GDP. In fact, a slowing Chinese economy may benefit US merchants who will experience reduced production costs in China and Europe due to a stronger dollar. Another major concern for investors is oil, even though it continues to have a positive impact on consumer spending. Lower oil prices equal greater savings for consumers at the pump. However, some US oil firms aren’t able to survive with WTI Crude Oil at $45 instead of $90 because of the high cost of product. Many firms that are experiencing difficult times due to the low oil price environment continue to produce; what else can they do? In spite of the economic uncertainty, we want to continue to express our positive US economic outlook. Our prediction of an interest rate hike in December seems in line with the Fed’s October statements, but a gradual increase in rates may help stabilize the economy in the long term. Additionally, the global economy’s health will always play a role with our domestic markets, but America is a self-sustaining country. With unemployment levels at 5.1% and solid US GDP numbers, the Fed feels that the US will be able to handle a rate hike to close 2015. As always we are continually following any developments and tailoring our client’s portfolios accordingly.